This is part of our gorgeous Mia Range. 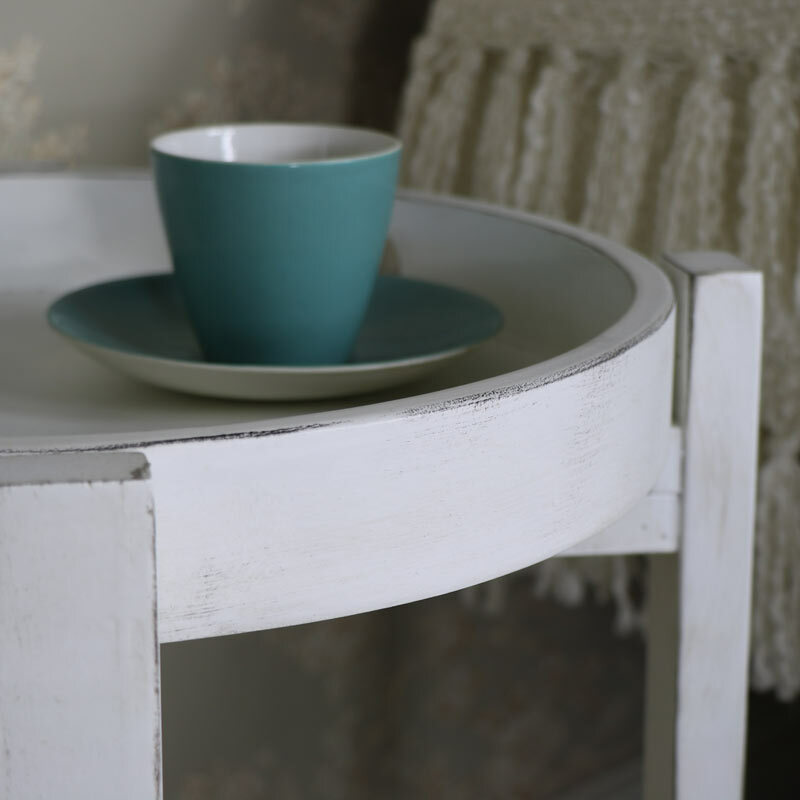 An elegant tray table that adds versatility as well offering a very practical use. A round deep tray, with handles, that sits snuggly and very comfortably on a set of folding legs, easily packed away when not in use. 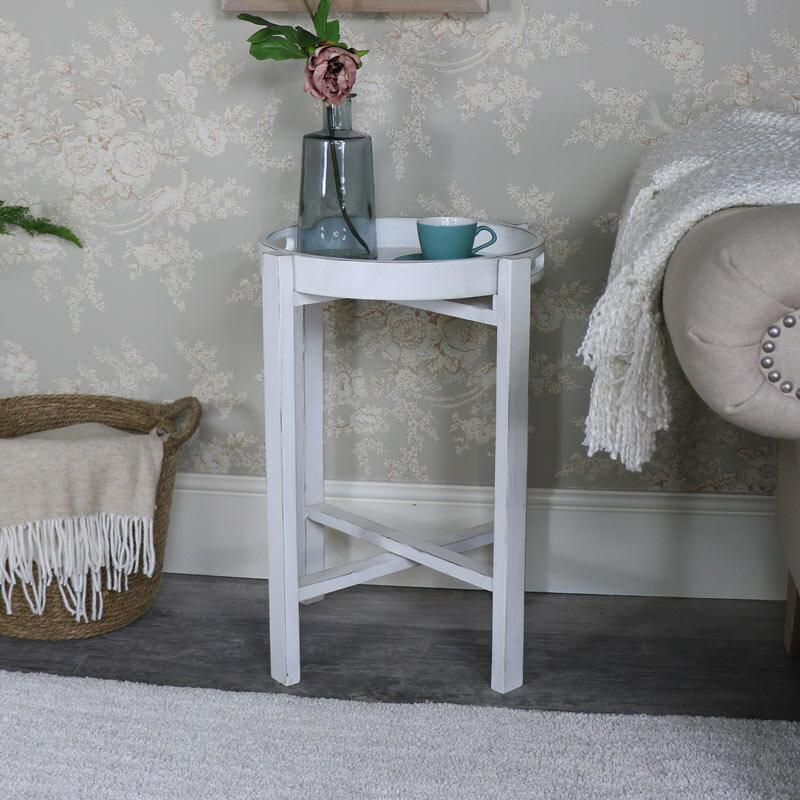 This table will be perfect for using as a side/occasional table and will sit comfortably at the side of your sofa or chair. The distressing on the table adds a vintage rustic appearance. Great for use as a breakfast tray, just what you need for carrying your breakfast, tea or coffee into the living room or bedroom. This tray table is small enough to be used in any room but big in style. This is part of our gorgeous Mia Range. An elegant tray table that adds versatility as well offering a very practical use. A round deep tray, with handles, that sits snuggly and very comfortably on a set of folding legs, easily packed away when not in use. This table will be perfect for using as a side/occasional table and will sit comfortably at the side of your sofa or chair. The distressing on the table adds a vintage rustic appearance. Great for use as a breakfast tray, just what you need for carrying your breakfast, tea or coffee into the living room or bedroom. This tray table is small enough to be used in any room but big in style. 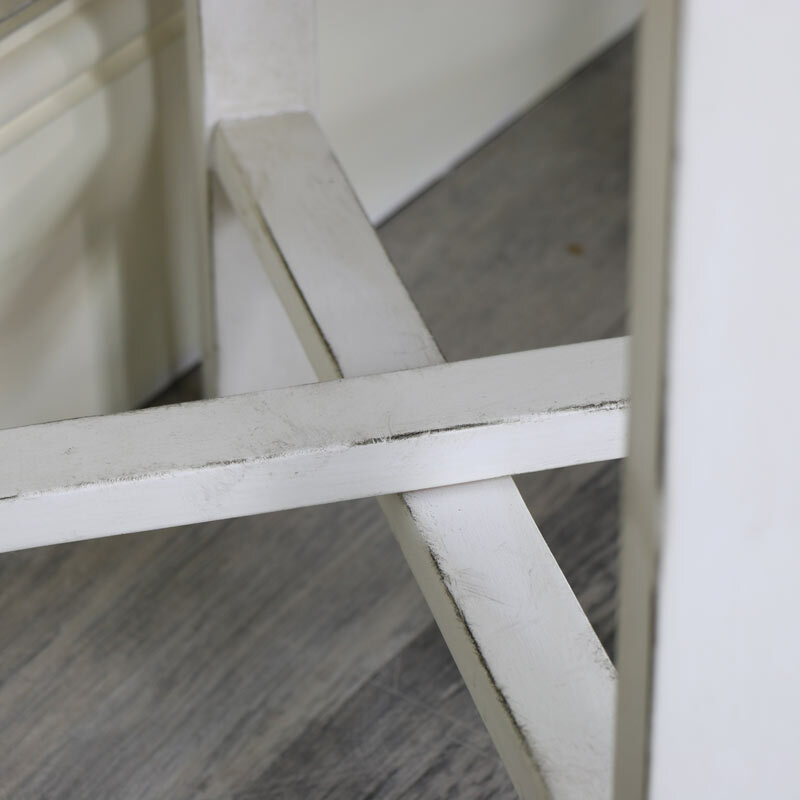 Made from wood and painted in an antique white colour with a slightly distressed look that adds a slightly rustic look. 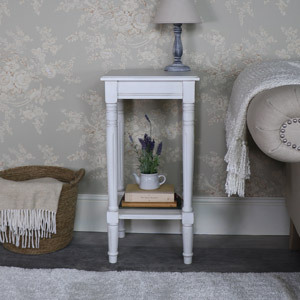 The only assembly required on this piece of furniture is to unfold the legs and rest the tray on top, simple and easy! The overall measurements on the table are 45cm x 60cm x 45cm (width x height x depth) with the tray part itself measuring 39.5cm diameter and 5cm deep. 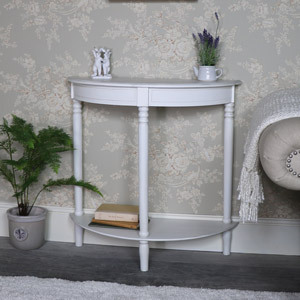 With more furniture available in our Mia Range, you can create just the look you want with furniture available for your living room, hallway and bedroom. Measurements (other): Tray measures 39.5cm diameter and 5cm deep.